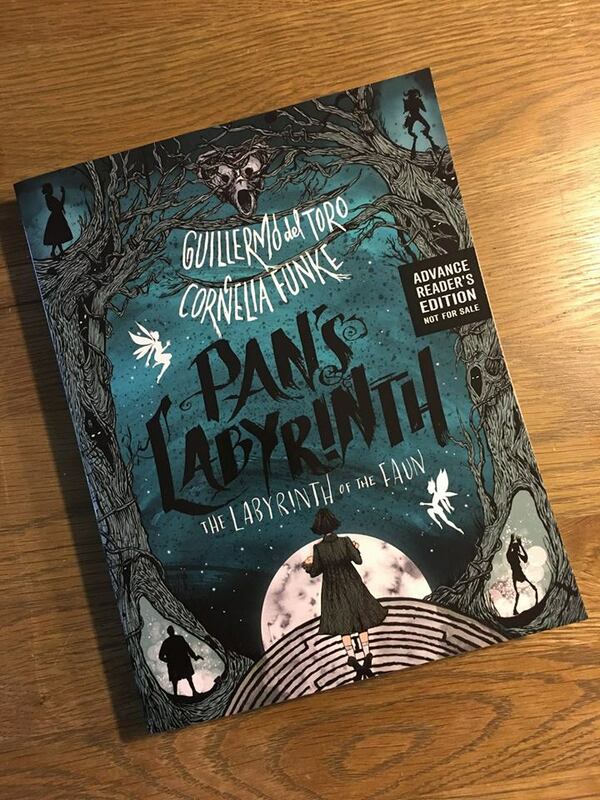 We have a big announcement from Cornelia and filmmaker Guillermo del Toro: the novelization of Pan’s Labyrinth that they’ve collaborated on, will be published in the US and UK on July 2nd, 2019! Foreign-language rights to the novel, The Labyrinth of the Faun, have already been sold to seven other countries. Del Toro’s film Pan’s Labyrinth came out in 2006—set in 1940s Spain during the Spanish Civil War, it tells the story of a young girl named Ofelia, whose mother married a sadistic army captain, uprooting them to live with him in a remote mill at the edge of a dark forest. As Ofelia’s mother grows ill, and her stepfather’s brutality becomes more and more clear, the lines blur between fantasy & reality, fairytale & horror, dreaming & waking. The Labyrinth of the Faun is also the first novel Cornelia’s written down in English, from the first draft through the revising process. As many of you know from seeing Cornelia’s notebooks, typically her writing process begins with a combination of notes and illustrations, drafting the stories in German longhand in A4 notebooks. Later in the drafting process, Cornelia’s translator works with her and translates the manuscript into English. For this retelling of Pan’s Labyrinth, though, Cornelia felt it would be different. Because her first language is German, and del Toro’s is Spanish, Cornelia thought it would be most natural to work on the stories in a language she and del Toro share. Have you seen del Toro’s 2006 film? Tell us what you’re excited for about Cornelia’s adaptation in the comments! It’s still a few months until the novel will be here, but Cornelia’s talented translator recently shared this photo of an ARC copy…July 2019, we’re ready for ya!